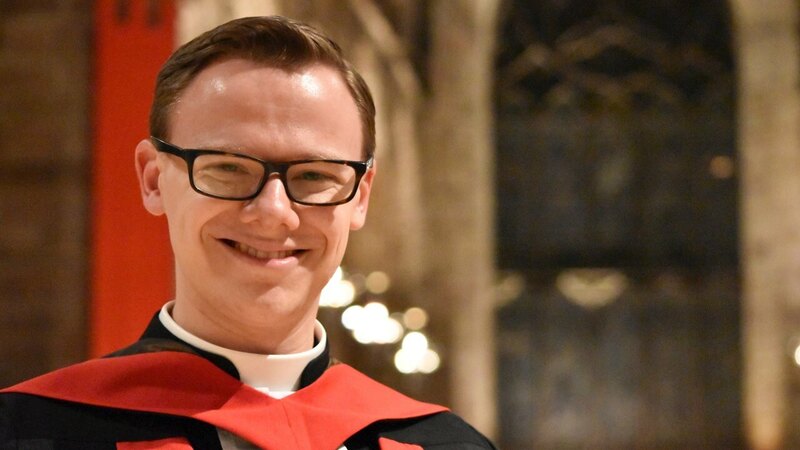 In the latest of our My Ministry blog series, we meet Rev Dr Liam Jerrold Fraser, Pioneer Minister at the University of Edinburgh. Growing up, I had very little interest in Church, and left as soon as I was allowed to. Around the age of 20, however, I came to faith, and began studying Divinity. My call came three years later, when God spoke to me through scripture and through family and friends, and called me to preach. While I knew I was called to the Ministry of Word and Sacrament, I knew that Parish Ministry and Chaplaincy – at least at this point in my life – was not for me, and I worried about the future. Then the Church of Scotland began to establish Pioneer Ministry, and I found a position that was right for me! I head up Edinburgh University Campus Ministry (EUCAM), which is the Church of Scotland’s denominational ministry to the University. While our focus is obviously on serving students, the way we do that is by creating volunteering opportunities in the community, and by bringing students and locals together through Holy Cross Edinburgh, our worshipping community. The most rewarding part of my role is seeing folk develop in their faith, and come to realise that it’s only in Christ that they will see true transformation of themselves and their communities. There have been two challenging elements to my ministry. The first has been the indifference or even outright hostility of some Christians to what we are doing. The second has been an initial lack of financial structures, which left me worrying, at times, about whether I would be able to provide for my family. I don’t think I bring much to ministry that hasn’t been given to me by God in the course of my training. If I bring anything, however, then it may be knowledge of the theology of our Church, an understanding of contemporary culture, and some skill in determining what we must change and what we must hold fast to and protect. The main skill I have learned in my role is the ability to repeatedly fail, and not let that failure destroy me. The most rewarding part of my ministry has been helping to establish our new worshiping community Holy Cross Edinburgh, along with its associated community gardening project Holyrood Harvest. Having a full-time ministry and a young family means I don’t have much time to relax. If I do have some time, however, I like to walk, read, write, visit new places, and spend time with friends. The only real freedom you will know in life is service to Christ, to other people, and to the Church. Talk to God in prayer. Talk to family and friends. Talk to Church leaders. Then – if you still feel that you’re called to service – go to a discernment conference. If you get there and – like me – start to worry that there isn’t a ministry for you in the Church, then don’t worry. God will create that role for you, and give you the ministry that he has called you to do. Believe that God is greater than your ability, your faith, and what seems possible at any given time, and you will do just fine.